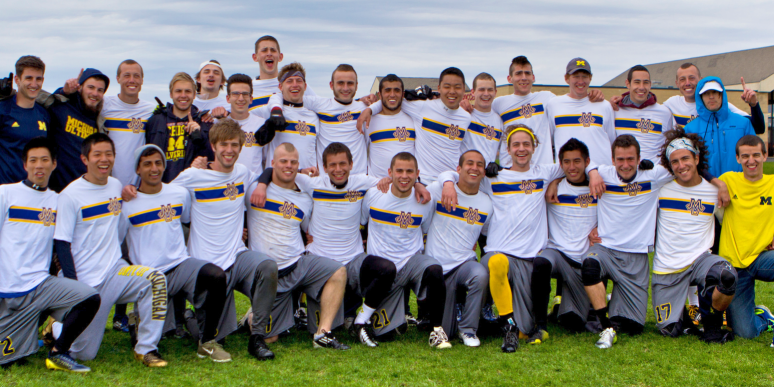 Michigan Ultimate history began in the Fall of 1997. At the time, the team was struggling to find its identity. There was one group of players in support of naming the team TUMULT (The University of Michigan Ultimate Team). A second, more radical, group of young men favored the name MagnUM. A short game of flatball would be played to restore order to the organization. After going down 2-0 to TUMULT, MagnUM staged the most important comeback in team history, scoring three straight goals and setting its place in Michigan Ultimate history.